Impact: Played very well. Kept Andre Gray quiet all game and did a good job of organising the defensive line and the defensive midfielders. Age at Debut: 31 years, 293 days. Previous Clubs: Wycombe Wanderers, Cardiff City, Birmingham City, Wolverhampton Wanderers, Sheffield Wednesday [loan], West Ham Utd. [loan]. Development: As a youth, played for Portsmouth, Bournemouth and Wycombe. Made his first team debut for Wycombe aged just 17 years and 8 days; at the time a club record. Has played over 500 professional matches and has played in the top four leagues in England. Honours: League Cup winner with Birmingham City, 2009. Charlton Status: Signed until the end of the season on 3rd February 2015 after agreeing to have his Wolves contract terminated. Controversy: Johnson was out of favour at Wolves and apparently very unpopular with the fans. Specific controversies included claiming to only be there for the money (he was on a four year deal worth £25,000 per week), arriving drunk for training, feuding with goalkeeper Wayne Hennessey and being banned from the training ground by Kenny Jackett because of his negative influence on the squad. 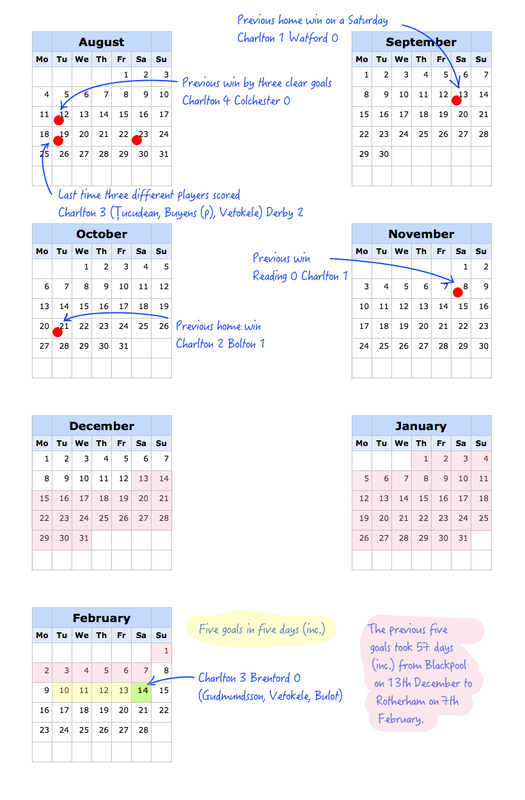 Frédéric Bulot’s injury time goal against Brentford was very welcome indeed. It might not have earned us any additional points, but it was well taken and sealed the match and a good team performance all round. 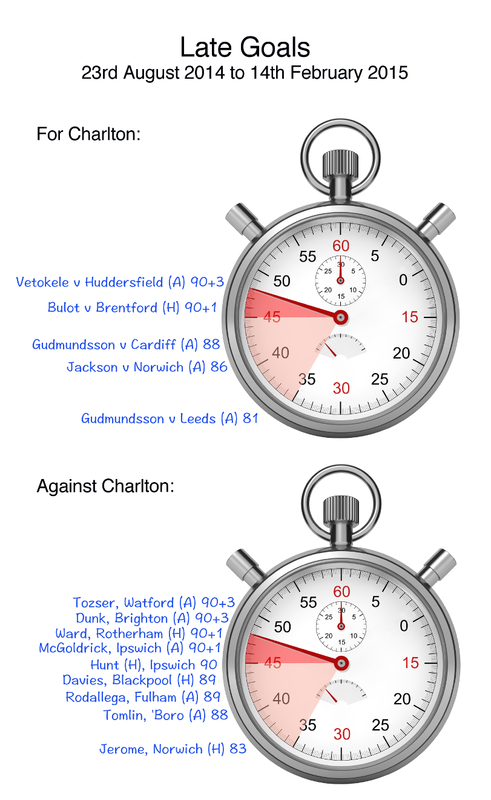 As far as injury time goals go it was also long overdue though; the last time Charlton scored a goal with the clock showing 90+something was back in August when Igor Vetokele got the equaliser against huddersfield. There have been just three other late goals (after 80 mins) in that time. We’ve earned 5 points from those five goals. Unfortunately the opposition haven’t been so shy of scoring; Charlton have conceded four injury time goals and five other late goals in this time. These have cost us 8 points. Which of Roland Duchâtelet’s men has performed best at the helm of Charlton Athletic? Stats above are for League Matches only. José Riga’s from the 0-0 Draw with Huddersfield on 12th March 2014 to the 3-0 victory at Blackpool on 3rd May 2014. 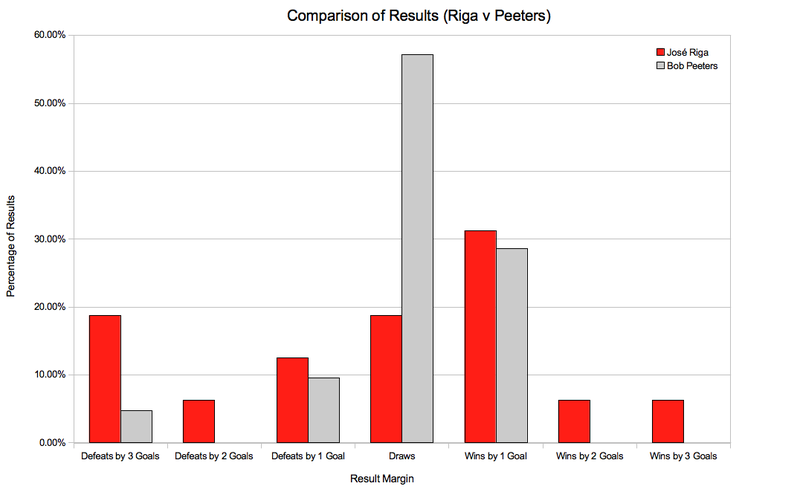 Bob Peeters’ from the 1-1 draw at Brentford on 9th August 2014 to the 2-2 draw with Blackpool on 13th December 2014.